*Hunter Douglas Authorized Dealer* Renaissance Window Shade & Blind has proudly served Sheboygan County and the surrounding area since 1996. Whether your priority is energy efficiency, privacy, room darkening, ease of use, or child and pet safety, you can count on the design team at Renaissance! You'll find everything you need to transform your living space into your dream home. Count on Joe & Corinne, the knowledgeable and friendly professionals at Renaissance Window Shade, to coordinate your decorating project from start to finish. Our distinctive services include professional measuring, experienced installation, and stylish design advice, all provided with a local flair, since we're independently owned and operated. We also provide on-site repair service on everything we sell. Joe is a Hunter Douglas Master Installer. Renaissance Window Shade & Blind has proudly served Sheboygan County and the surrounding area since 1996. Whether your priority is energy efficiency, privacy, room darkening, ease of use, or child and pet safety, you can count on the design team at Renaissance! You'll find everything you need to transform your living space into your dream home. Professional window treatment design and installation of custom drapery, shutters, shades and blinds are the services provided to her clients. Designing beautiful windows since 1999; The Blind Lady takes great pride in the work created in the past 16 years of business. Thousands of windows have been custom-treated using design and function as the starting point for each project. 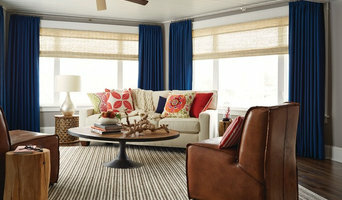 Window treatments may act as a back drop to the room, blending in to compliment the room. Or if you prefer, window treatments are the icing on the cake, creating the focal point of the room by pulling the entire look together. A Hunter Douglas Authorized Dealer, The Blind Lady, features window treatments designed and fabricated in The United States. These window treatment products offer fashion-forward design and the latest in technological features. MORRISDESIGNERBLINDS has been in the business of providing custom, hand-crafted blinds and window shutters since January 2004. After learning the detailed craftmanship of creating designer blinds, the owner and CEO, Victor Morris, decided to take the the custom blind market by storm. Ten years later, MORRISDESIGNERBLINDS, has serviced markets as far south as Mississippi and Florida on up to Illinios and is currently expanding in the Missouri area. We take pride in providing excellent customer service to our clients. We plan to stay in business for generations to come, so we guarantee that we can go "beyond ordinary" to add that special touch to any room in your home. Give us a call today! In the early 1990’s, Manhattan Textiles opened its retail store under the guidance of a unique family trio. At the helm are Judy and her two daughters who share her passion for fine textiles. Traveling the world in search of unique fabrics, the store quickly became a destination for those who crave beautiful things. Hailed for their collection of fine designer inspired fabrics, Manhattan Textiles’ unique marketing strategy made it possible to offer fine fabrics at reasonable prices. Headquartered in Milwaukee, just 90 miles from Chicago, their showroom offers a large in-stock collection of unique and exciting textiles, trims, custom bedding, window treatments, furniture and rugs. Although their web site offers many products and services, the showroom offers even more. I would be happy to assist you with your decorating, design or building needs. I do new construction as well as existing homes, from one room to the whole house. I emphasize good design that will result in a lasting relationship with you! As my customer, your needs are of the utmost importance to me. Stop in today or give me a call. I would love to help you with your projects. Collaborative Design is an established interior design firm located in Waukesha, WI. In business for 43 years we focus on furnishing and remodeling, and specialize in the unique and custom. Our studio is filled with treasures. We have products from fine furniture manufacturers, an array of art, accessories, fabrics, area rugs, carpeting, building material samples and catalogs from leading design and decorating companies. Made in the Shade Blinds & More of Mequon offers the best window covering products in the industry with exceptional service and affordable prices. Our advantage is that we bring the showroom to you with our shop-at-home convenience. At Made in the Shade, our personalized service includes a complimentary consultation, complete with free measuring and a free estimate. This service allows you to see various window coverings in your own environment, enabling you to see how light, room colors and furnishings affect your options and choices. You will find quality, name-brand window coverings at GUARANTEED LOW PRICES, and every purchase is backed with a manufacturer’s limited lifetime warranty. Our goal is to have completely satisfied customers every time. So, let us provide you with the most pleasant window covering shopping experience ever! WE BRING THE SHOWROOM TO YOU! CONTACT US OR SCHEDULE YOUR FREE IN-HOME CONSULTATION TODAY! Want some help with those ridiculous energy bills? 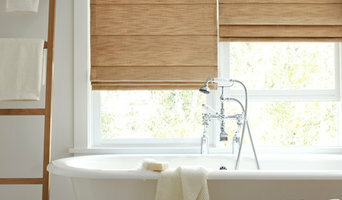 Putting shades on your windows will drastically help cut cost on your energy bill. It is tested and proven that most heat is lost through the windows of your home. Just covering that window with any treatment will help reduce energy costs. And covering the window with a cellular shade will cut your energy costs the most. Since 1969, we have been providing homeowners in the Milwaukee area with high-quality custom window treatments, custom blinds and shades and expert home organization and redesign advice. Our mission has been to provide top-quality products and the best customer service – and we hold ourselves to this standard. Whether our customers are looking for the latest and greatest Hunter Douglas window fashions, custom high-quality fabrics or custom closets and home organization tools, we treat all of our clients to high-quality service, offering warranties and guarantees that allow them to make the best choice for their home and budget. Feel free to reach out to us, we would love to hear from you! 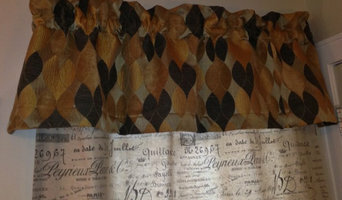 Fockel's Superior Drapery & Blinds is a family owned business, serving the Fox Valley's decorating needs since 1954. Fockel's has earned a reputation for providing customers with professional workmanship, quality products and affordable prices. Our showroom boasts over 50 custom displays, fabric treatments, blinds and shades. In addition to residential decorating services, we can assist with commercial design needs such as offices, conference rooms, waiting rooms and lobbies. Fockel's Superior Drapery's in-store drapery workroom uses the newest equipment available in the industry. 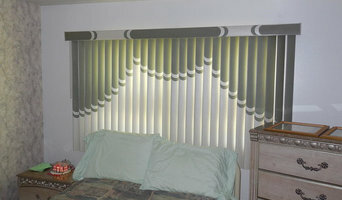 My name is Shari, and I am your local 3 Day Blinds Design Consultant. 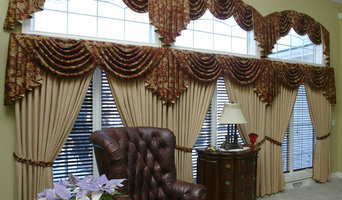 I have 25 years’ experience as a Window Treatment Design Consultant, and absolutely love what I do! Whether you are looking for blinds, shades or shutters, or are looking to finish the room with stunning draperies or stylish valances, I will assist you in planning your treatments and promise to make the experience fun and easy! At 3 Day Blinds, we control the entire process, including a professional measure and design, quality fabrication and expert installation. I would love to work with you to design the perfect look for your windows! Window Works is locally owned and operated, offering a beautiful showroom for window treatments and coverings. The team of expert designers and installers assist customers with every aspect of new window covering creation, including personalized plans and high levels of craftsmanship. With more than 10 years of experience in the industry, The company is certified as Hunter Douglas Master Installers and offers a range of products and services to meet the needs of every customer. Options include window treatments, window shades, window blinds, window shutters, window draperies, window coverings, Hunter Douglas products, custom window treatments, custom draperies, motorized window coverings, motorized window treatment, and more. Since Window Works specializes in window treatments, customers have the peace of mind knowing that experienced installers are on-site. Every customer receives a free at-home consultation. Worry-free systems are in place to ensure the measuring and installation techniques that are used for optimal results. The “Shop at Home” experience gives homeowners the opportunity to view a variety of samples in comfort at home. These samples and colors can be compared with other design elements in the room to ensure perfect customization based on the needs of each family. All products are priced competitively and come with a lifetime service warranty. In addition to beauty and timeless features, customers can also choose child-safe window coverings to reduce the risk of injury at home. Unique products include cordless window shades and blinds, as well as lift systems and remote-control access to open and close the window coverings. Service areas include Elm Grove, Okauchee, Mequon, Colgate, River Hills, Fox Point, Whitefish Bay, Bayside, Glendale, Richfield, Thiensville, Wales, Delafield, Brookfield, Nashotah, Hubertus, Hartland, Cedarburg, New Berlin, Oconomowoc, Big Bend, Eagle, Mukwonago, and the surrounding communities. Window Works stand out in the industry due to timely product delivery, personal service, and a customer guarantee that ensures quality results for every product. For a personalized, no-obligation consultation, call the team to schedule an in-home appointment. Or, visit the showroom to see the many products that are available: 3485 N 124th St Brookfield, WI 53005. Call today: (262) 790-4040. My name is Kayla Franke. I am a Sales Partner with Made in the Shade of Southern Wisconsin specializing in custom blinds, shades, drapery, and more in the Northeast Wisconsin area. My services include a free, no-obligation consultation, quotation, and installation. I pride myself in providing prompt, professional, and consistent service all the way through installation and further. Whether your priority is privacy, light control, energy efficiency, style, or all of the above, we will work together in finding the window treatments that best suit your home, lifestyle, and budget. Moreover, my young perspective will open your mind to new ideas on how to utilize window treatments in transforming the look of your home or business.